Heat milk to approximately 110⁰F. Slowly whisk in melted Peter’s White IceCap™ Wafers; use minimal stirring to avoid oil separation. 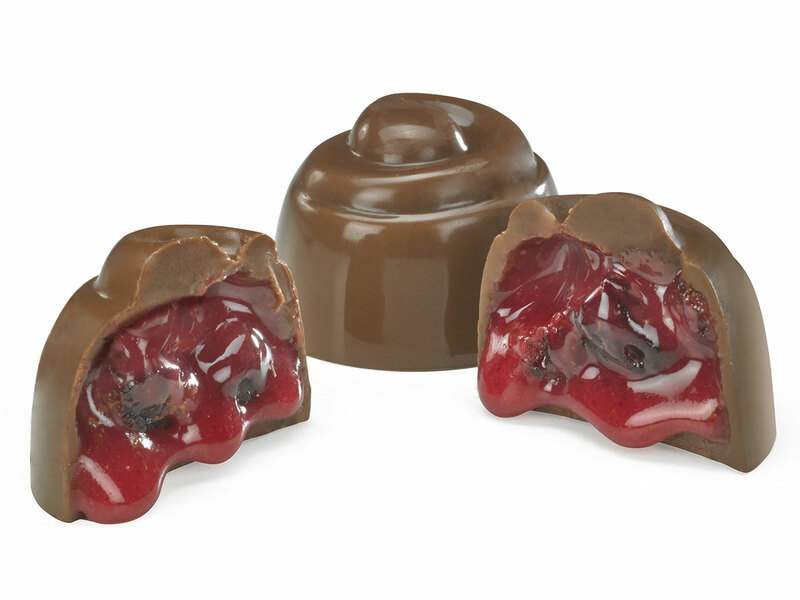 Gently blend in flavor, fondant sugar, invertase, and chopped cherries, and pour onto parchment lined tray to 5/8 inch thick. Allow to cool and firm. 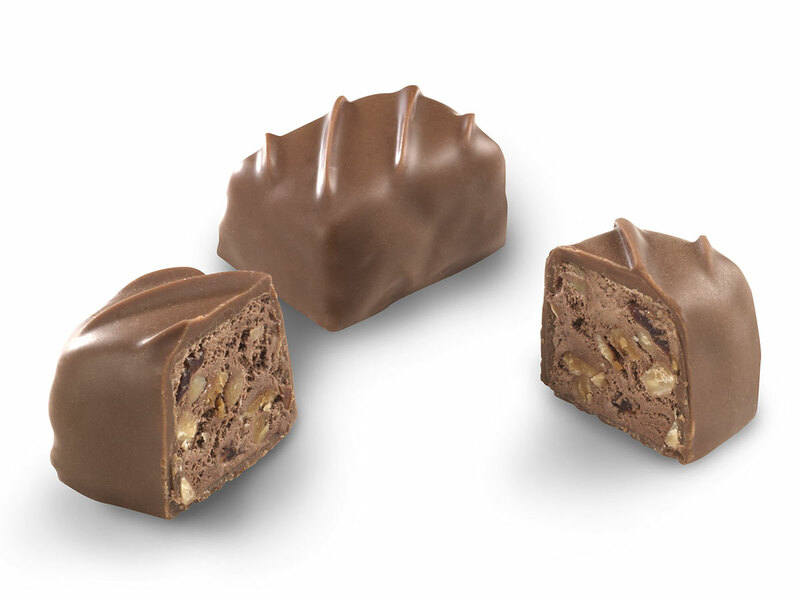 Cut to desired shape using ganache cutter or roller knife. Allow to dry/crust for a few hours or overnight. 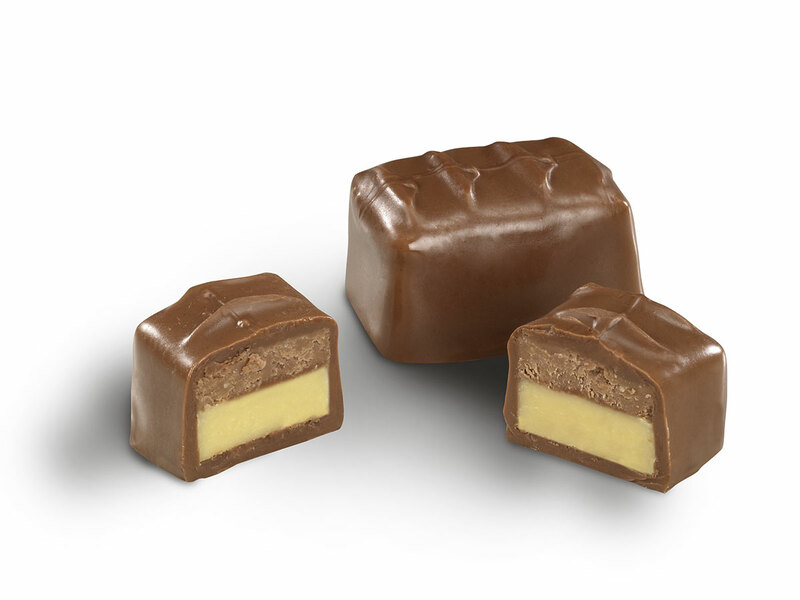 Enrobe in Peter’s Cambra™ 72% Bittersweet Chocolate and decorate with a slice of glacéed cherry. 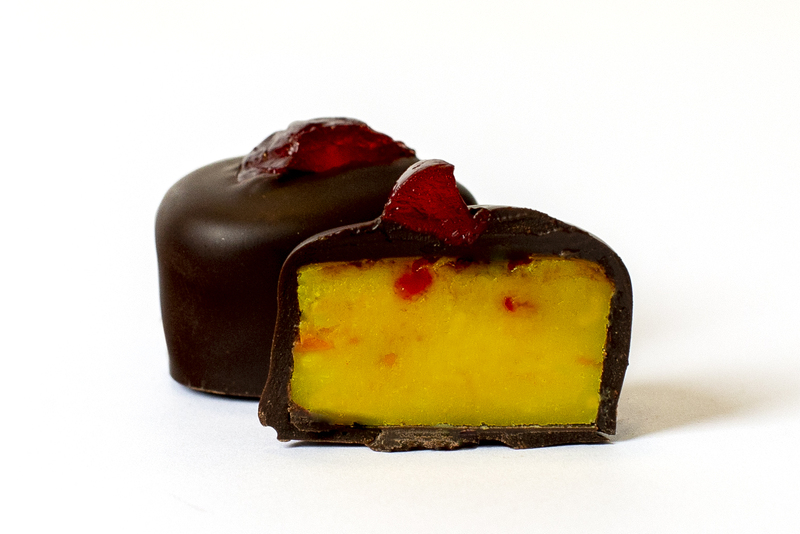 Our Passion Fruit & Cherry Truffles were originally created as part of our 2019 Peter’s Chocolate Calendar. To learn more about the calendar and see other innovative creations from 2019, visit our blog here.